The Maryland Heights Fitness Court is NOW OPEN! Missouri has joined the 2018 National Fitness Campaign! 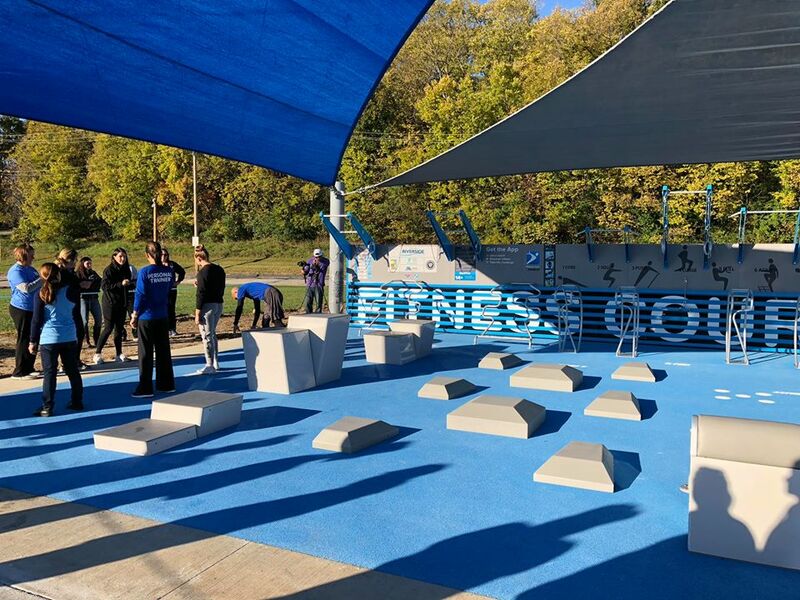 Just outside of historic St. Louis, the City of Maryland Heights is leading the state as the first to install The Fitness Court® and activate free fitness for all. The outdoor bodyweight circuit training gym is now available for public use in Quiet Hollow Park, suitable for adults of all abilities, and at no cost to residents. 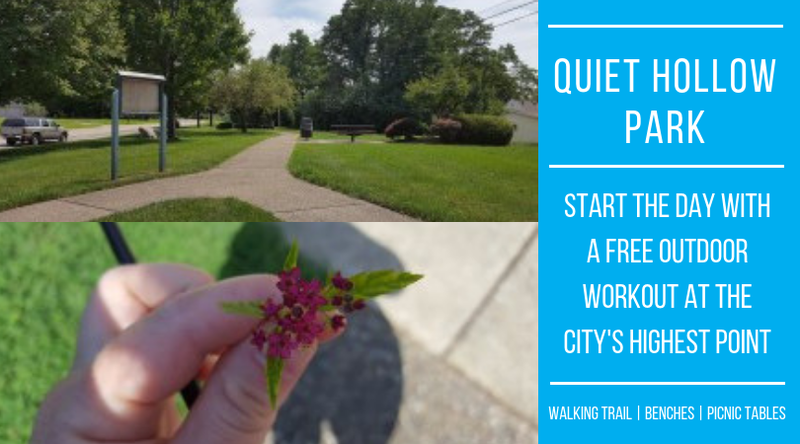 By pairing The Fitness Court with a free mobile app, members of the Maryland Heights community and greater St. Louis area can take classes, learn routines and get fit — all in their own local park! “It will allow individuals the chance to work out while being outdoors and when their schedule permits. 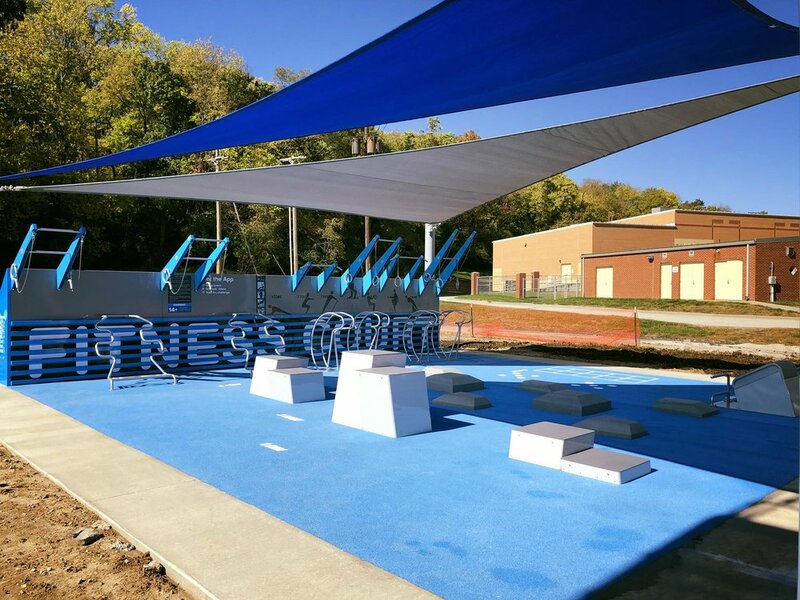 We are very excited to have this new amenity in our community,” says Tracey Anderson, Director of Parks and Recreation for the City of Maryland Heights. 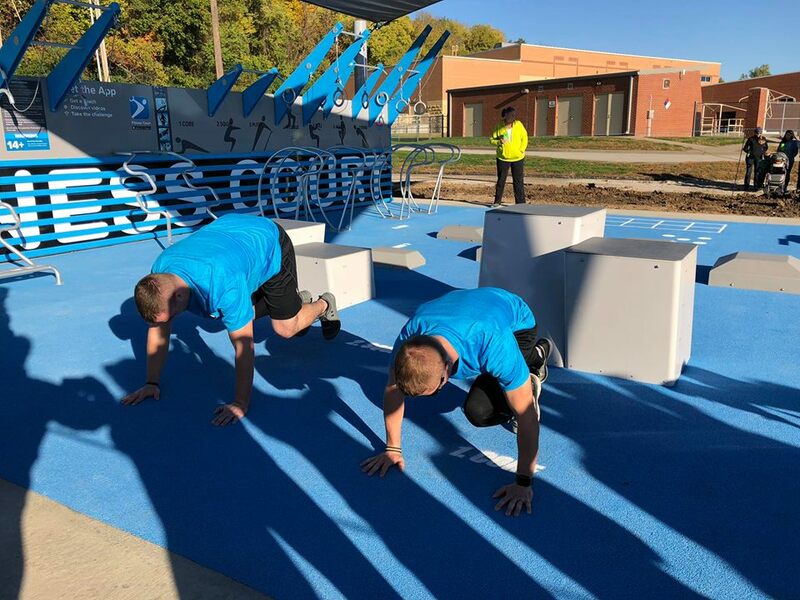 The city is dedicated to keeping residents excited about health and wellness, so their new Fitness Court is a public resource added to city infrastructure for the health benefits of all residents. Friends, families and fit fans in the St. Louis area attended an Opening Day Launch Party to welcome the Court on Saturday, September 22nd in Quiet Hollow Park! THANK YOU MARYLAND HEIGHTS FOR PUTTING FREE FITNESS ON THE MAP!